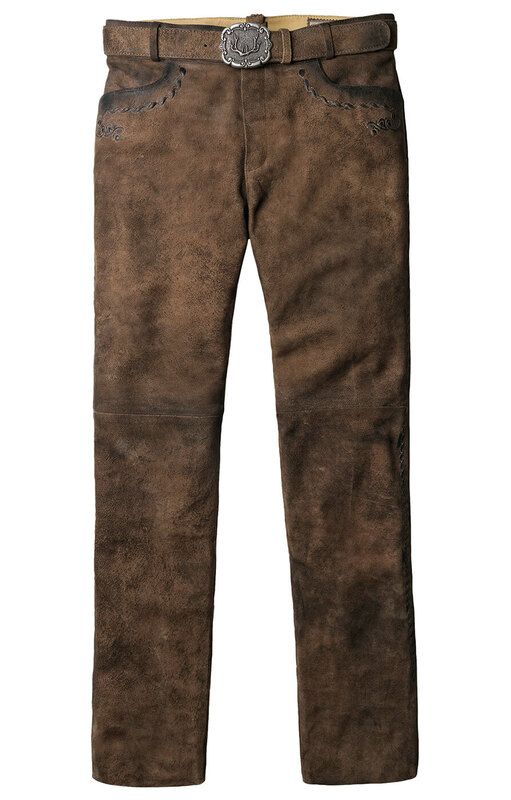 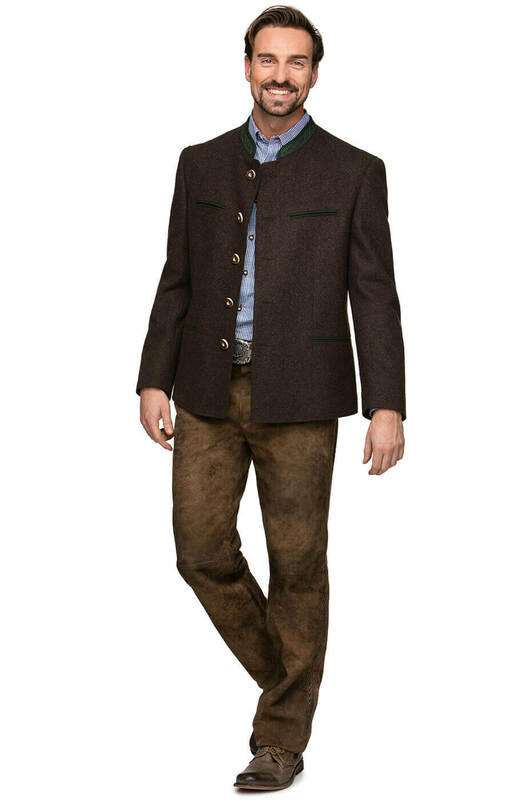 Long Trachten Lederhosen Rocco3 in stone. 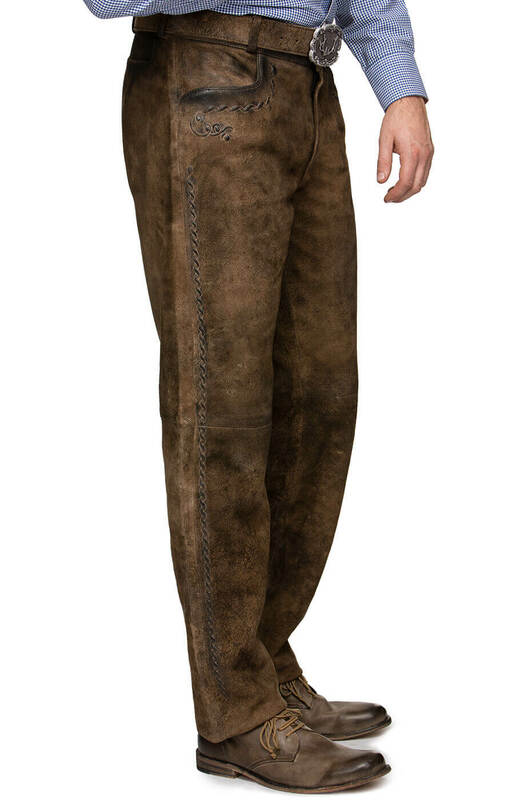 For a very contemporary Trachten look, the Rocco3 long Lederhosen in bison-brown are the ideal solution for men who prefer to keep their legs covered. 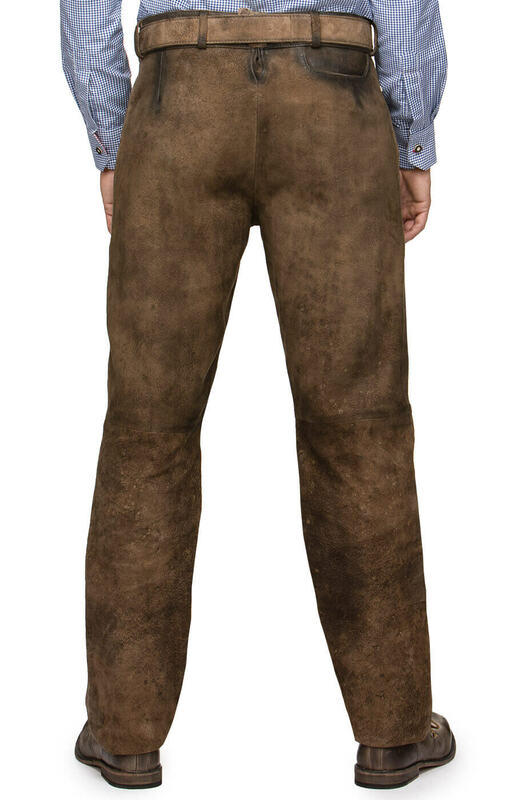 Unlike the classic styles with front flaps, Rocco3 long Lederhosen are cut like your favourite jeans, with a zip fly and two front pockets. 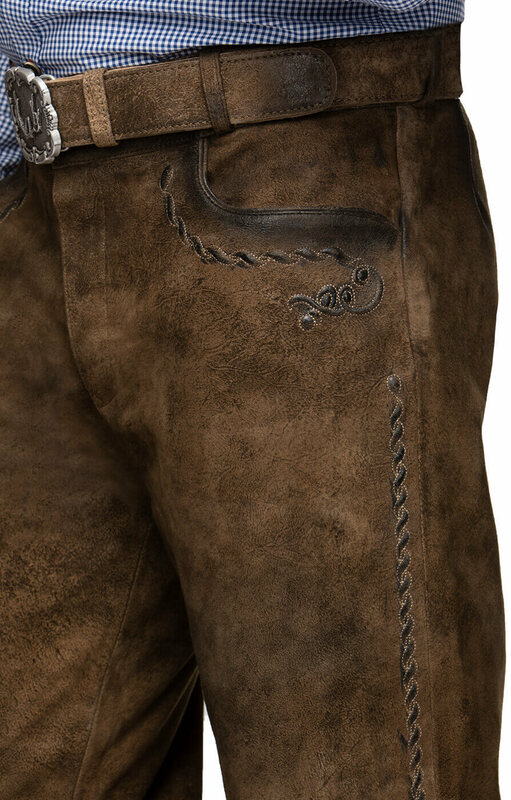 This slim cut, masculine style is subtly decorated with typical Bavarian embroidery in white and beige on the front pocket edges and down the side seams. 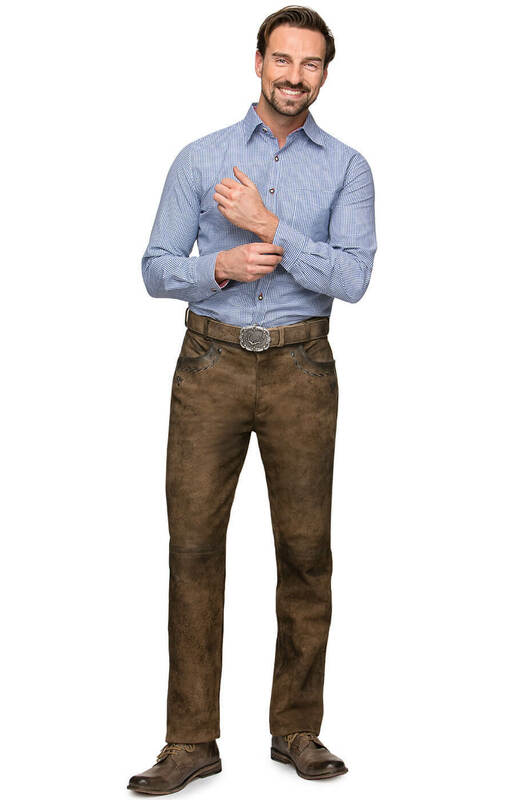 These understated Lederhosen would be perfect for both special occasions when a nod to tradition is required, as well as everyday wear.